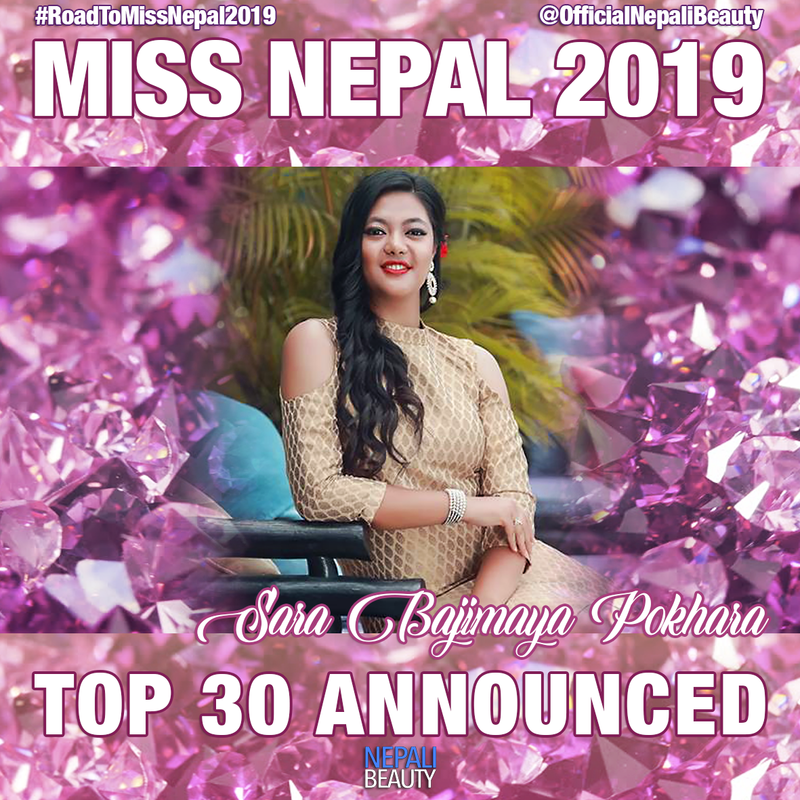 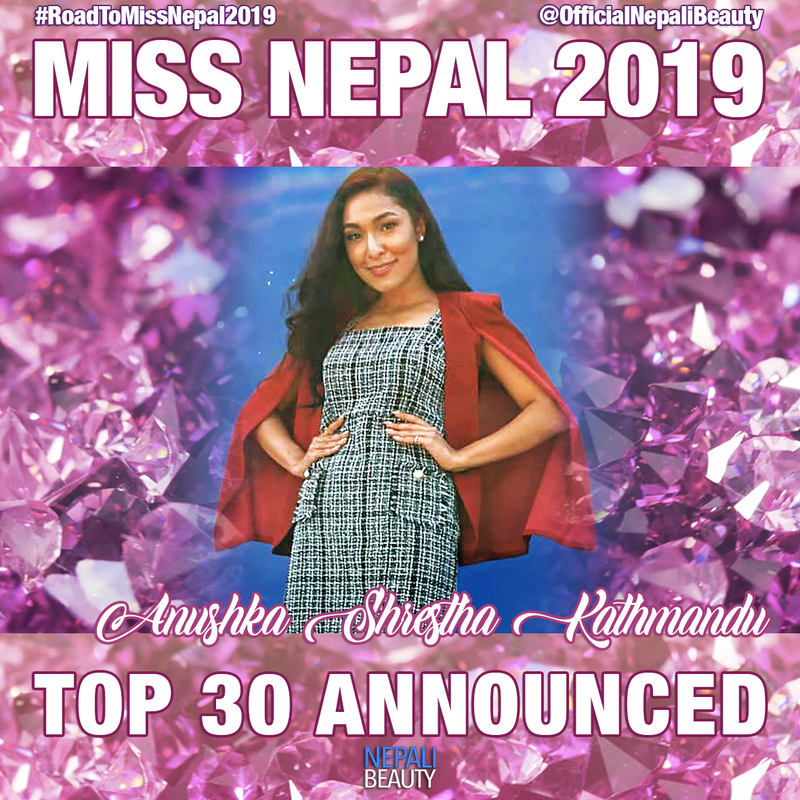 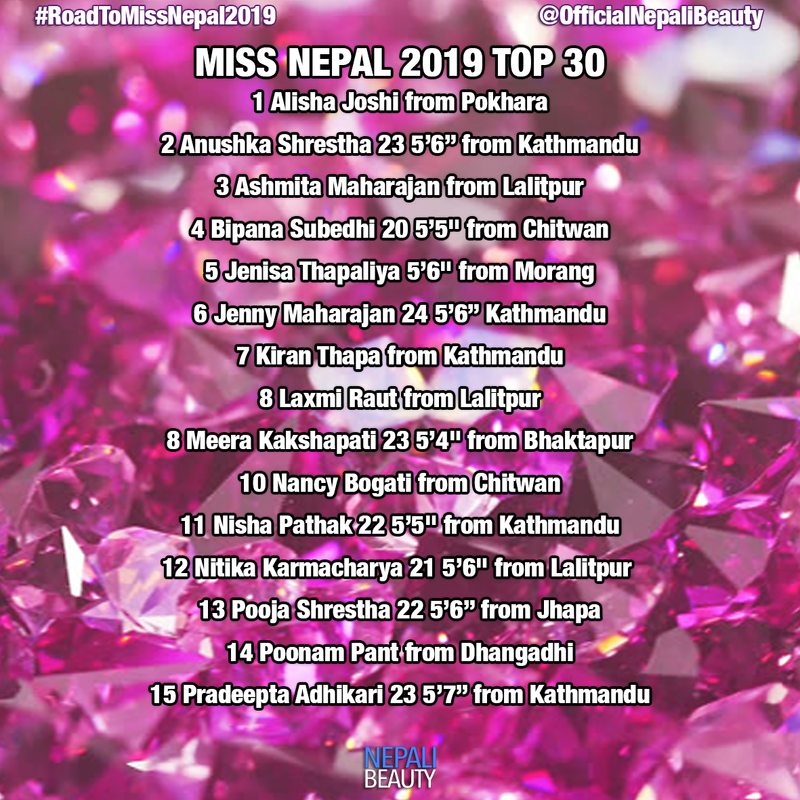 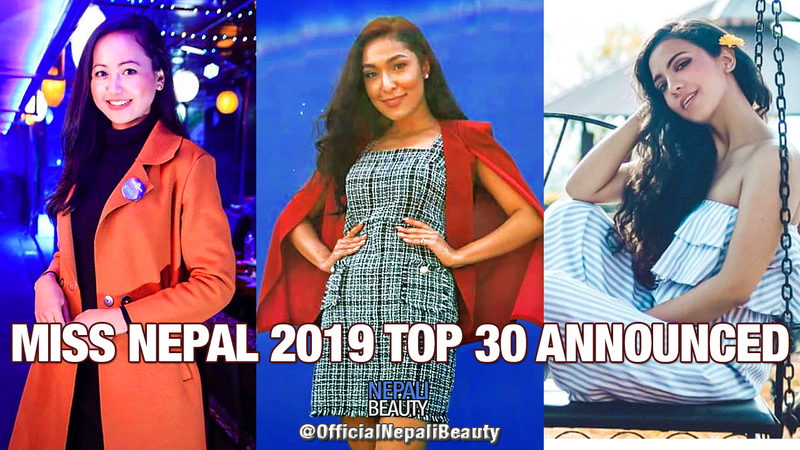 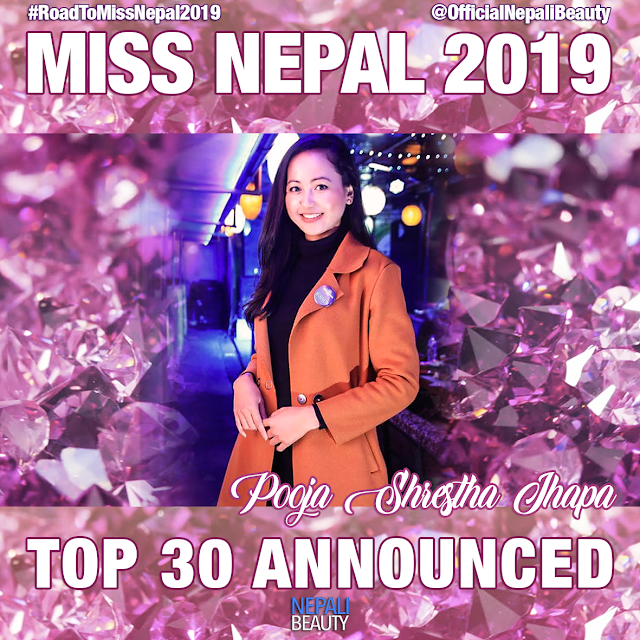 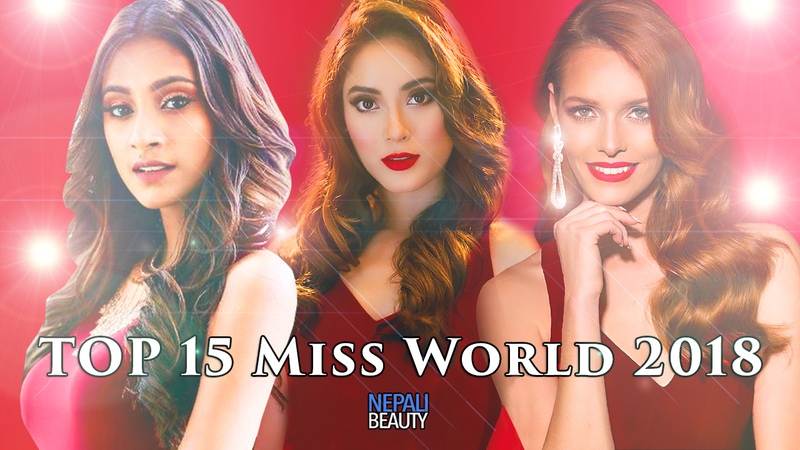 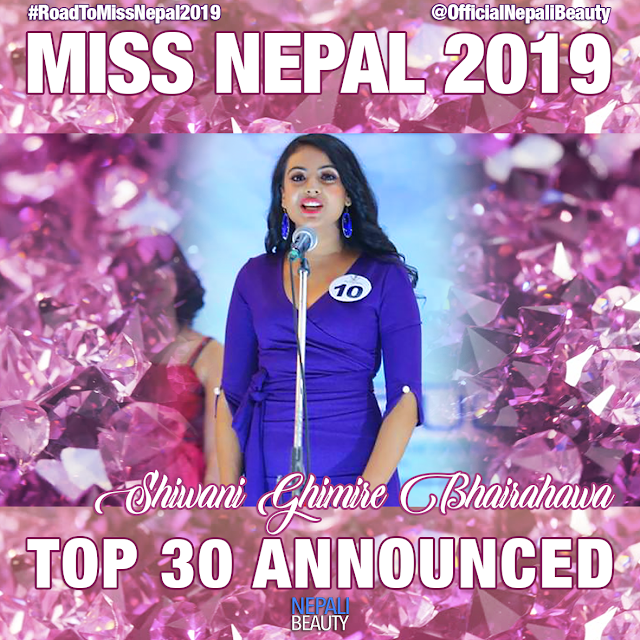 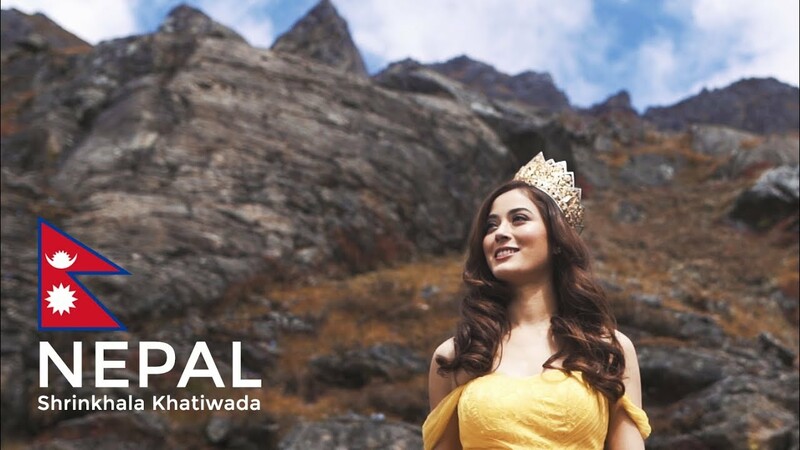 Miss Nepal 2019 Top 30 names are announced ! 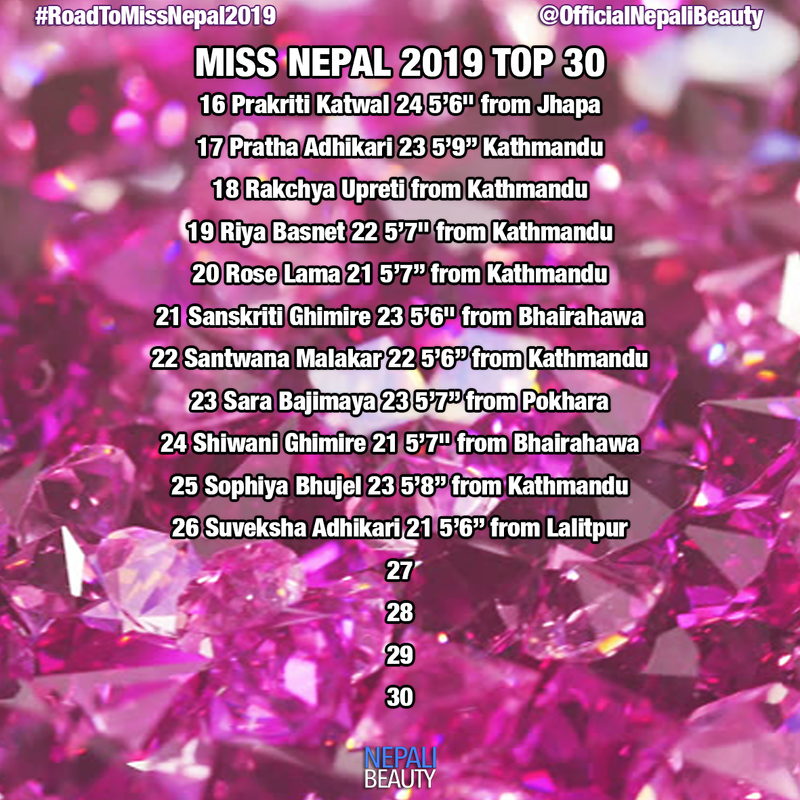 Miss Nepal 2019 Top 30 contestants names has been announced today and here are the lucky 30 girls who will be moving to the next round of Miss Nepal 2019 pageant. 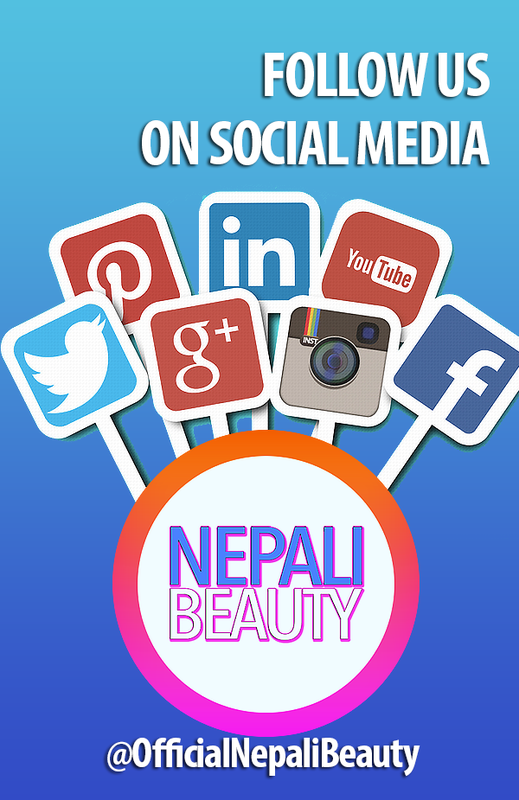 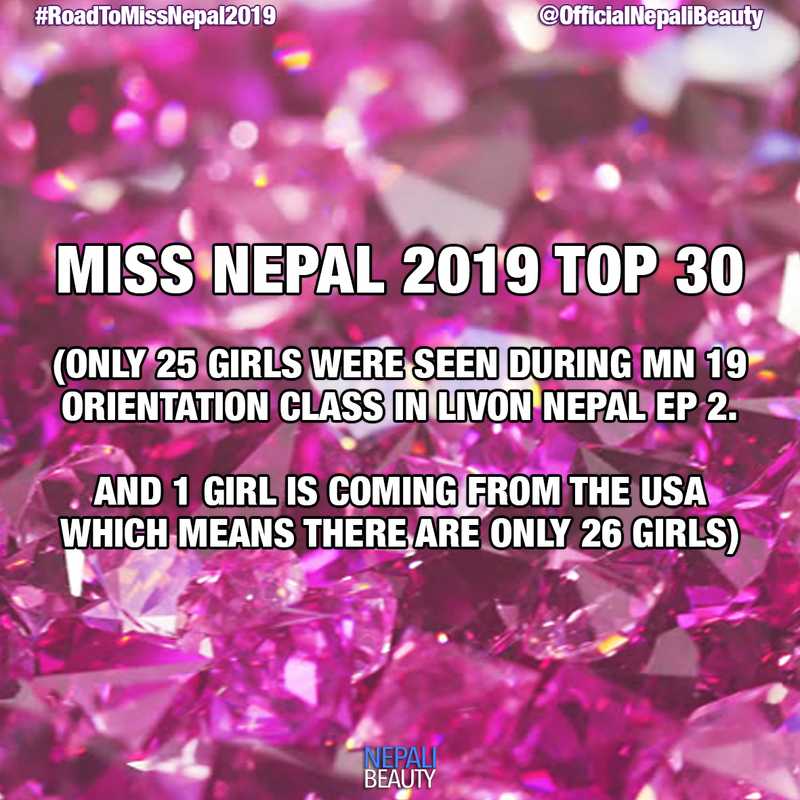 The girls will go through an orientation class on 27 March and after a week of training 5 girls will be eliminated; the remaining 25 will then be our official Top 25 contestants of this year’s Miss Nepal 2019.